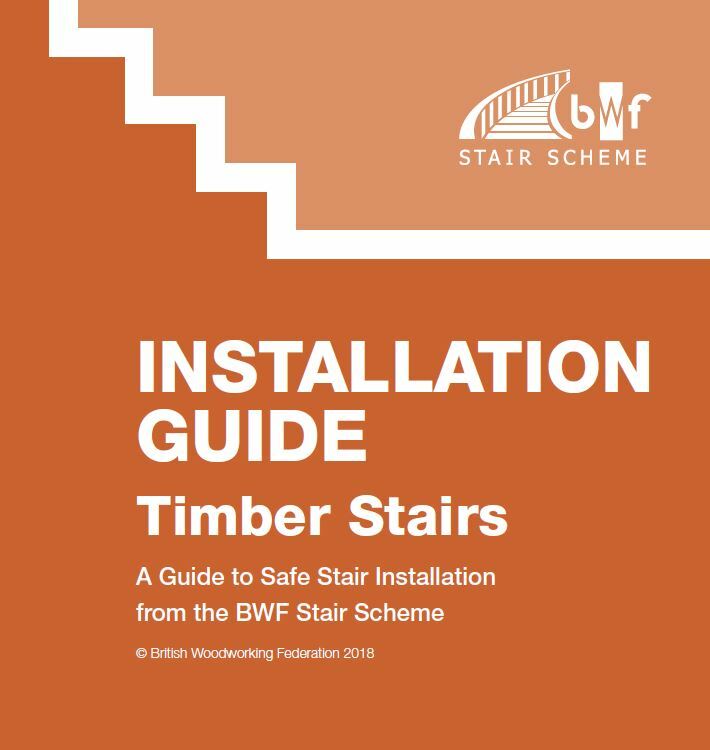 The British Woodworking Federation (BWF) Stair Scheme has today launched a new and improved Staircase Installation Guide, to help fill the skills gap and focus on safe, quality installations for both domestic and general access staircases. Getting stairs right first time and avoiding costly squeaks and even running the gauntlet of non-compliance is a major drain on productivity in the housebuilding and wider construction markets. 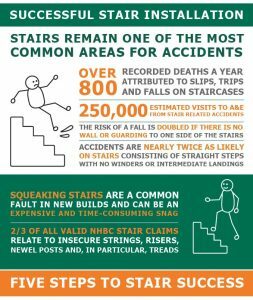 Poorly fitted stairs also present safety risks – they remain one of the most common areas for accidents in the UK with more than 800 recorded deaths attributed to slips, trips and falls on staircases every year in the UK and a staggering 300,000 visits per year in the UK related to falls on stairs. Accidents happen, but many could be avoided and some of these will be the result of not managing risks during construction works, when a part-finished or unguarded staircase is often used for access. The guide is produced by the BWF Stair Scheme, the only accreditation and certification scheme of its kind in the UK. Members design and manufacture domestic, common and fire protected stairs to an extremely high standard to ensure quality and safety within the industry. Builders and contractors have a duty to correctly install staircases that are fit for purpose. While members of the BWF Stair Scheme produce stairs that will support the necessary loads in both the flights and the balustrades, poor installation practices can cause the stability of the stair to be reduced, potentially leading to premature failure of components and ultimately the collapse of the stair. The guide is designed to bridge the gap between manufacturers and installers to ensure that industry standards are met and best practice is followed to safely install timber staircases.